Join retired National Park Service Ranger Mary Anne Carlton as she shares her extensive knowledge of the ecology and history of the Arnold Rim Trail and its environs. 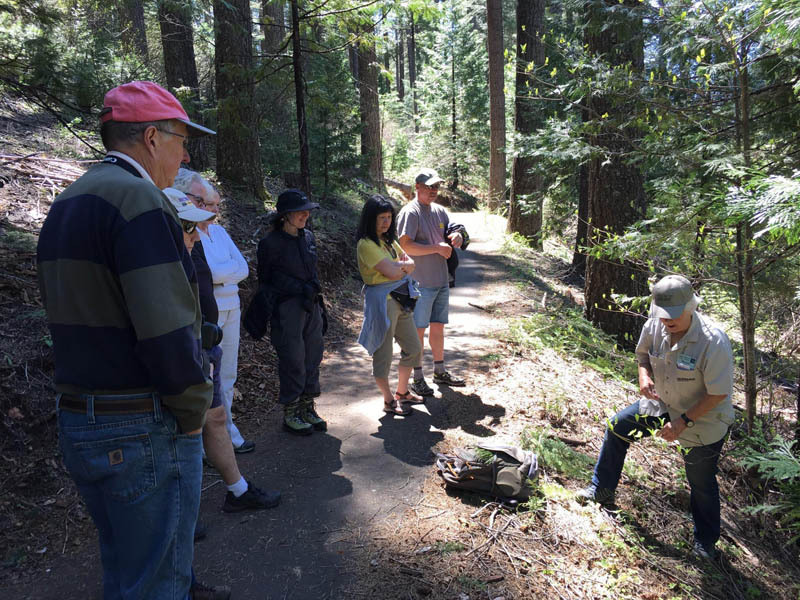 These gently paced walks meet at the Sierra Nevada Logging Museum in White Pines at 9 am, follow the paved ADA trail, and are about 2 miles round trip. Walks proceed rain or shine! “Get to Know Your Conifers” this delightful tree identifier walk with Mary Anne is on Saturday, April 6th and Saturday, May 4th. Learn everything you need to know about identifying trees in the Arnold area.